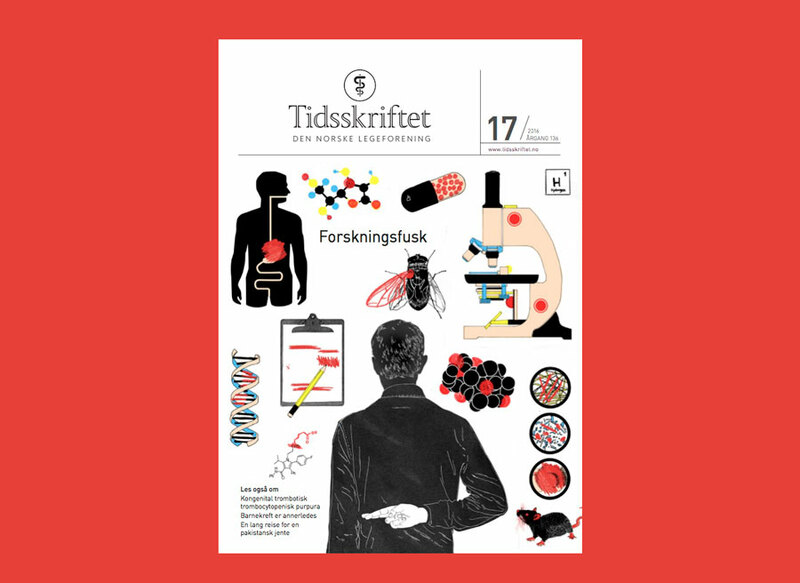 Cover illustration for Tidsskrift for den Norske legeforening, The Journal of the Norwegian Medical Association. 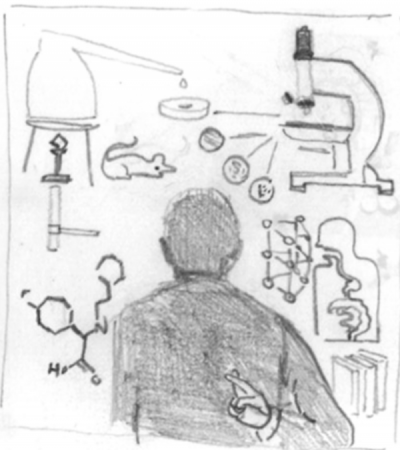 Scientific misconduct is gaining more attention in scientific journals and in the media, but we know relatively little about the extent of the phenomenon and attitudes towards it or how this change. The purpose of the study discussed in the article was to investigate Ph.D-candidates’ knowledge of the subject and their own actions and attitudes towards concrete forms of scientific misconduct. An anonymous questionnaire was filled in by pH.D-candidates. Around one in four had heard of severe forms of scientific misconduct in the last year and around 4% were familiar with the various forms of this from their own department during the same period.